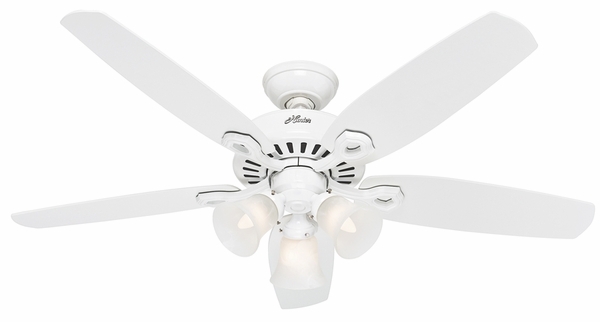 Hunter 53238 Builder Plus Fan with Blades and Light Kit - 52"
Home > Home Improvement > Fans > All Ceiling Fans > Hunter 53238 Builder Plus Fan with Blades and Light Kit - 52"
The Hunter Builder Plus Ceiling Fan includes five ceiling fan blades as well as a light kit to get you started enjoying this unit as soon as possible. 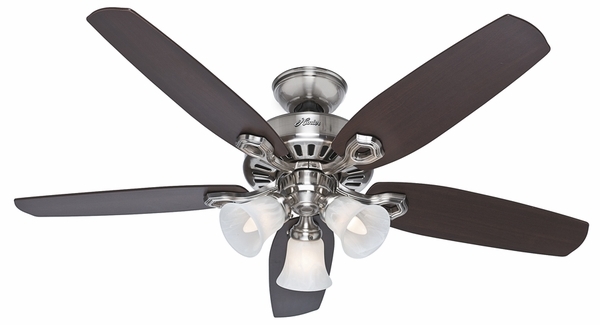 The Builder Plus is a 52 inch ceiling fan that's available in your choice between brushed nickel, new bronze, and white finishes. 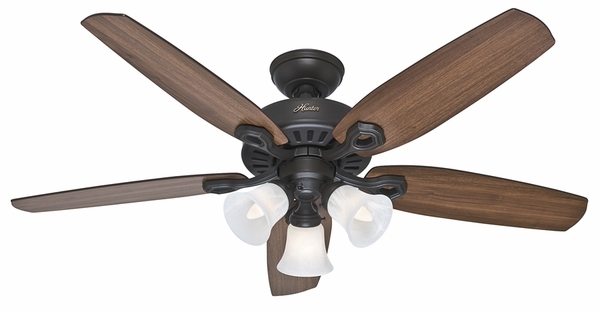 The Builder Plus delivers a total of five reversible mahogany/Brazilian cherry blades so that you can customize the look of your fan to blend flawlessly into your home decor. The light fixture includes a swirled marble glass bowl, and requires two 60 watt candelabra bulbs, which have been included for your convenience. Do two down drop rods come with this Hunter 53238 Builder Plus fan with blades and light kit? This fan does indeed come with a standard downrod and a shorter downrod.